Our Stars at Yerkes teachers have planned another year of exciting and interesting workshops for teachers and informal educators who want to learn more about astronomy and the exploration of space. Registration for these workshops will be available online as the event approaches. Please visit the Workshop Archive to view past events. Public Star Party Event - Join us at Yerkes Observatory, clear or cloudy, on October 12, from 7:00-9:00 pm, as we celebrate our celestial neighbor for International Observe the Moon Night (observethemoonnight.org). Observing with telescopes and indoor activities will be featured. Charge for this event is $5/person or $15/family. Come observe the Moon, with activities designed for school age children accompanied by a parent or teacher. For more details and registration information, click here. In the twentieth century, the challenge was to get to the moon and back. The challenge in the new millennium is to get to Mars and back! Would you like to join a team of fellow educators to develop a plan for NASA? Join us on November 2, 2013, as teams replicate the engineering design process used by NASA to develop space missions. Utilize your budget, decide the science questions to be answered, and then build the spacecraft for the mission. Lastly, present your team mission plan to Yerkes scientists for funding decisions. This REALLY IS Rocket Science! We hope you will join us! Register below for this workshop now! Registration includes CPDUs and lunch. Cost for the workshop is $35.00 and registration is suggested. Registration includes CPDUs and lunch. Click here to complete the post-workshop survey. Read all about this event here. Public Star Party Event held at Yerkes Observatory, at 373 W. Geneva Street, Williams Bay, Wisconsin. Register for our Public Star Party on November 2nd from 6:00 - 8:00 pm. Learn the fall constellations and see many deep sky objects through telescopes. This star party will happen if skies are clear or cloudy. There will be indoor activities if the sky is cloudy. Activities are designed for school age children accompanied by a parent or teacher. Cost for public star party is $5.00 per teacher/adult, $15.00 for families. Join the discussion of Marcia Bartusiak's spellbinding tale of discovery and thrill to hands-on activities with Leavitt's Cepheids and Hubble's variable Andromeda V1 that forever changed our perception of our universe. Be among the first to know of humankind's next great leap forward as Professor Rich Kron reports to us some first results form the Dark Energy Survey! Come observe the night sky, with backyard telescopes and activities designed for school age children accompanied by a parent or teacher. 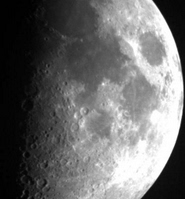 View many other objects through telescopes, and learn from our volunteer astronomers. This star party will happen if skies are clear or cloudy. There will be indoor activities if the sky is cloudy. Activities are designed for school age children accompanied by a parent. Dress warmly! For more details and registration information, click here..
Come observe the night sky, with backyard telescopes and activities designed for school age children accompanied by a parent or teacher. View the constellations of the early springtime sky, and learn from our volunteer astronomers. This star party will happen if skies are clear or cloudy. There will be indoor activities if the sky is cloudy. PLEASE NOTE: THIS WORKSHOP WILL BE HELD AT THE UNIVERSITY OF WISCONSIN-MADISON. THERE WILL BE NO STAR PARTY THIS EVENING. This is a multi-disciplinary workshop which brings together biology, chemistry, physics, and earth and space sciences. The workshop will explore what is life and the prebiotic signatures for life on other planets, what life might look like on other worlds, and communication with other worlds. Participants will engage in hands-on activities. Cost for workshop is $35.00 and registration is suggested. Registration includes CPDUs and lunch. There will be no workshop in May. This information is also posted on the Yerkes Observatory site. Click here to view. Stars at Yerkes teachers are part of a professional learning community organized to provide STEM workshops, leadership training and mentoring for K - 12 educators at Yerkes Observatory and other amazing places. Join the teachers of Stars at Yerkes as you continue your own professional development!